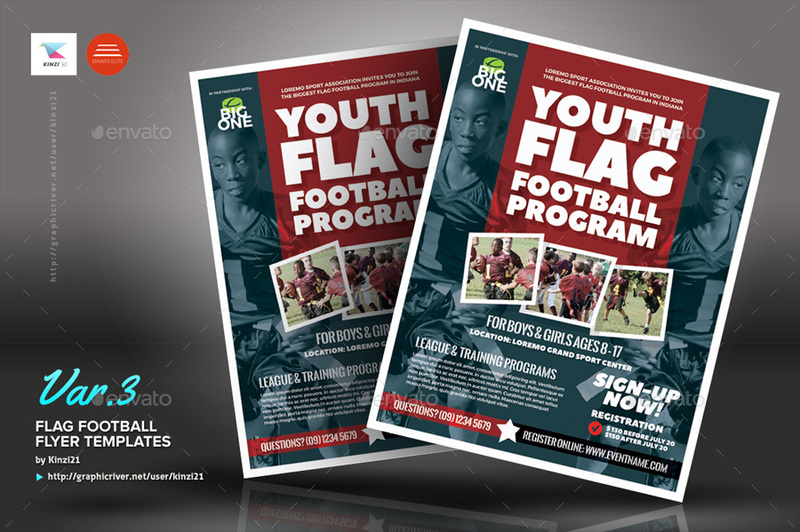 A flyer template pack perfect for promoting a flag football event ( game, league, training or camp ). 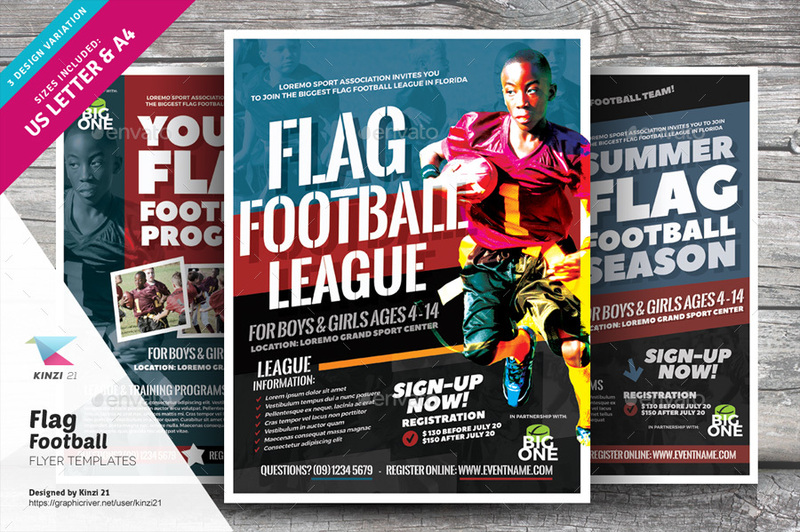 Available in three design variation and in two print size formats (US-letter and A4), these templates are fully editable (you can change sample texts, color-schemes and placing new photos). 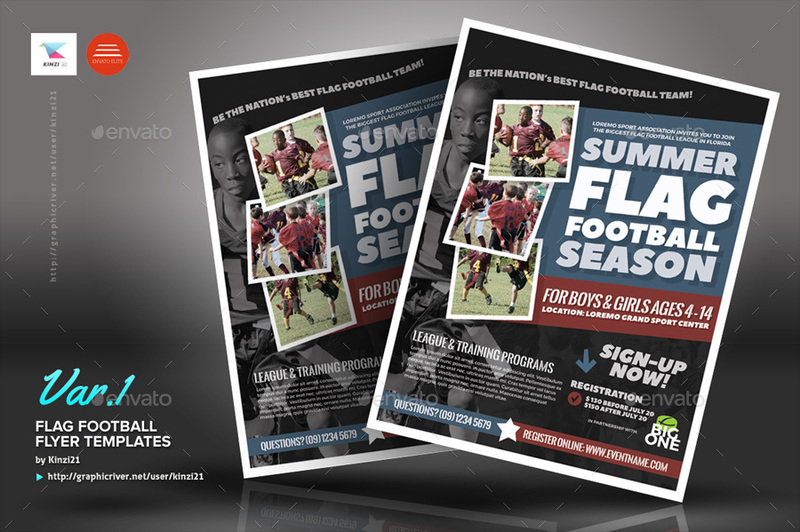 These templates can also be used as a magazine ad or as an electronic mail-out (save the .psd as a PDF file). - Sample photos as used on the preview above are NOT INCLUDED in the download. Links to get the (free) photos are provided. 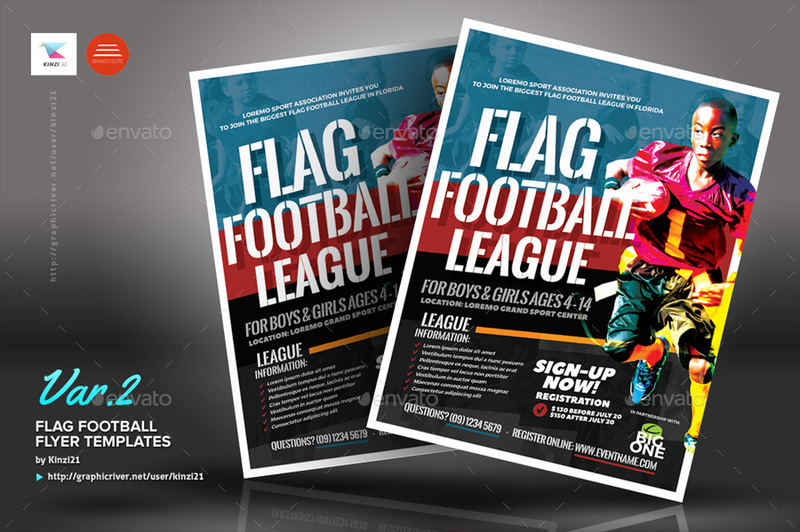 - These templates can only be edited in Adobe Photoshop CS3 or later version. So make sure you have this program installed on your system first before deciding to purchase it.